Quality lighting becomes even more important when you’re outdoors. When the sun goes down, it is the only thing separating you from total darkness. But that lighting needs to be usable, as excessive amounts of stray light will send illumination every place except where you need it. Using the BUG exterior system can help you choose the best exterior lighting for street lights, area lights, walkway lights, wall packs, and other systems while reducing wasted light and light pollution. 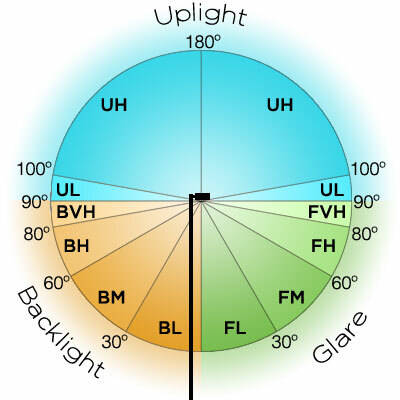 The BUG lighting classification system is a useful measurement of nighttime luminaire performance. 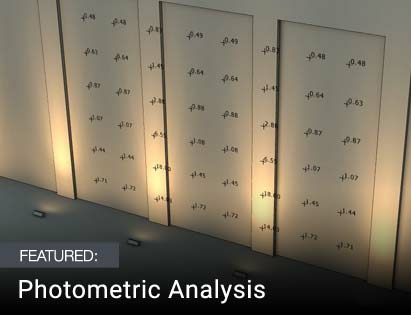 The system was developed by the Illuminating Engineering Society (IES) and the International Dark Sky Association as a way of evaluating any outdoor light fixture. 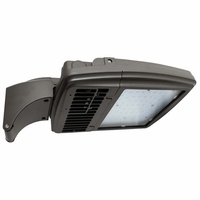 It was first added to the Luminaire Classification System (LCS) in 2009, replacing the previous system that was mainly geared toward street lights. In the case of these ratings, the word “BUG” is an acronym for Backlight, Uplight and Glare. All three are forms of stray light that can be emitted from a fixture. 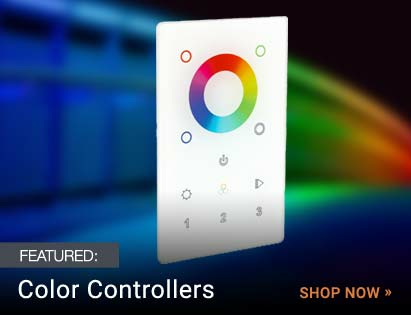 Although each does have positive uses in certain applications, they are generally considered “bad” light, as they often are not light you can practically use. But each is noticeably worse for some tasks than others, and the BUG rating helps to quantify this. Backlight, also known as light trespass, refers to the light emitting from behind a fixture. This light usually protrudes outwards or towards the ground, illuminating an area that is not intended to be illuminated. Backlight is great when you’re talking about improving the visibility of wristwatches or viewing your smartphone. But when you can’t sleep at night because of the light shining out from behind a streetlight into your room, you might think twice about enjoying backlight. In order to get more light to head towards the front, manufacturers can use optics, reflectors, or glare shields to redirect it. Uplight is the light that shines upwards from a fixture towards the sky — hence the alternate term “skyglow”. This stray light is responsible for the light pollution often seen in large cities. In exterior lighting, any uplight is wasted light, as it is not going towards where people are. It will also block out the view of the stars and moon. Skyglow can be cut down by fully shielding your fixture and by making sure it’s pointed towards the ground. This will also reduce energy use and cost. The IDA is particularly concerned with limiting uplight so more people can enjoy the stars at night. Glare, or forward light, is sometimes called “offensive light” because that’s exactly what it does for most people. This light, which can be reflected or directed, makes it very difficult for people to see — especially when it shines directly into their eyes. It is especially dangerous when operating a motor vehicle at night. Glare can be reduced by using lights that aren’t as bright or by selecting a light with a distribution pattern that’s appropriate for your intended use. The subzones are individually rated on a scale from 0 to 5, going from lowest to highest luminous flex. The highest rating of a subzone is considered the overall rating for that zone, and these readings are compiled into the BUG lighting classification: for example, B3 U1 G0. The tables below, which are based on the standards established by the IES, show the thresholds for each subzone. Find the lowest B rating where the lumens for the secondary solid angles do not exceed the threshold lumens from Table 1. The subzone that has the highest rating determines the overall rating. In this case, the backlight rating would be B2 based on the BL lumen limit. Find the lowest U rating where the lumens for the secondary solid angles do not exceed the threshold lumens from Table 2. The subzone that has the highest rating determines the overall rating. In this case, the uplight rating would be U0 based on the UH and UL lumen limits. Find the lowest G rating where the lumens for the secondary solid angles do not exceed the threshold lumens from Table 3 or 4, depending on the light distribution of the fixture. In this case, the fixture has an asymmetrical distribution pattern of Type IV, so we’ll use Table 3. The subzone that has the highest rating determines the overall rating. In this case, the glare rating would be G2 based on the FH lumen limit. BUG is a relatively new light rating, and as such, it is not currently required for manufacturers. However, some have already begun to use the system independently, and it is expected that its use will continue to rise. If you see an LED luminaire with a BUG rating, you will know the manufacturer is making a concerted effort to produce lights that are more effective. 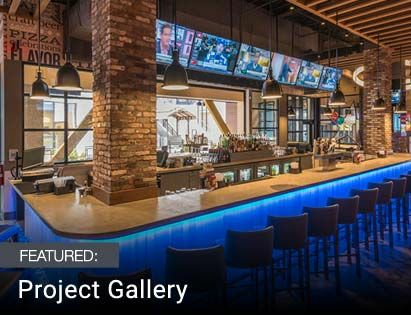 Contact us today and let us assemble a custom quote for LED area lights for your project that meet your requirements for backlight, uplight, and glare.